From left to right: Coun Denise Lelliott, Rotherham Borough Council; Clive Betts, Sheffield South East MP; Coun Jack Scott, Sheffield Council; Jo Johnson, rail minister; Coun Chris Read, Rotherham Borough Council leader and Dan Jarvis Sheffield City Region Mayor. Picture: Sam Cooper / The Star. 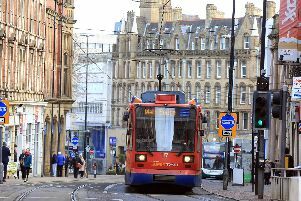 The £75 million tram-train project could boost both Sheffield and Rotherham's economy as well as creating a leisure corridor in the Lower Don Valley. That’s the view of Rotherham Borough Council leader Chris Read as the scheme finally got underway on Thursday. Three services an hour will run between Sheffield Cathedral and Parkgate, via Rotherham central, with a journey time of 27 minutes. Coun Read said: “It’s a big day for Rotherham. It's a big infrastructure project, which helps to connect Sheffield to Rotherham, and it is a national first. The route runs from the Cathedral to Parkgate, via Sheffield Arena, Ikea, Meadowhall South, where he joins the rail network, and onto Parkgate Shopping. 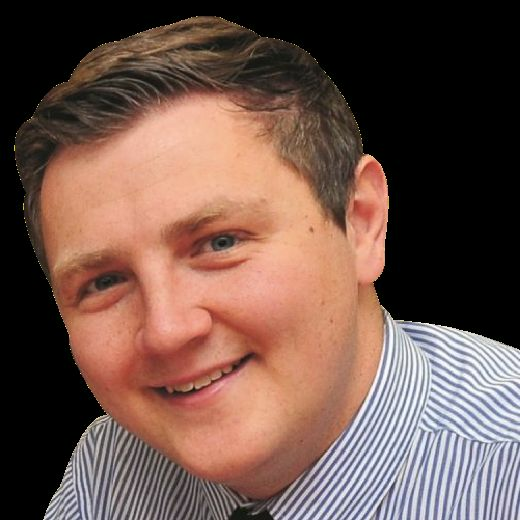 Coun Read said: “There is a whole series of developments coming down from Meadowhall, past the New York Stadium, where we now have Rotherham United playing Championship football, into Rotherham town centre, where we hope to start work on Forge Island in the middle of next year. Fares on tram-train services range from £1.80 to £2.50 with a Dayrider ticket available for £4. For more information visit www.supertram.com.